According to an unnamed developer, Nintendo may be rethinking its publishing model. The original Wii was a groundbreaking success, but it's no secret that they let some opportunities slip through their fingers. The most notable examples include its underdeveloped online features and lack of digital downloads, features which Sony and Microsoft consoles are well-versed in. Nintendo wants into this lucrative digital market, and according to an unnamed European developer, it's willing to put its money where its mouth is by offering lucrative incentives to publish full retail games on the eShop. "They're offering insane incentives for publishers to sell retail games as downloads on the console," the developer said. "You'd be stupid not to take advantage of it and go retail box-only." 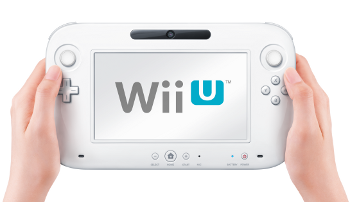 While this information is unconfirmed by Nintendo, Wii U Daily noted that this is the same source that correctly revealed Wii U's achievement and cloud-networking systems to the public. While we don't have specifics, the source explains that Nintendo will offer developers and publishers competitive revenue cuts much higher than what Microsoft and Sony currently provide. Even more significant is that the system will be much more supportive of indie developers. The source claims that "it's a whole different ball game than WiiWare. They've learned a lot from that mess." If this information is true, then it suggests that Nintendo has learned from its mistakes with digital distribution. This wouldn't be surprising; the release history of the 3DS alone shows that Nintendo is a company that takes these lessons to heart. The only remaining concern is whether the Wii U's hard drive storage (rumored to be approximately 8GB) can support or be expanded to support full-sized retail games.